Lead-to-close system that follows up automatically as you take leads through the recruiting and onboarding process. We simplify the recruiting process from lead received to lead onboarded. With a range of clients, we have a proven track record of success and experience simplifying the recruiting process while expanding results. Move recruiting from a paper-based communication system to a streamlined digital solution with seamless lead referral and automatic communication. Recruit more efficiently and hire faster with fully customizable marketing pieces, programs and tasks. Highlight your company's culture and improve brand awareness while capturing leads with a customizable landing page. Leverage your downloadable pipeline report to track progress and forecast future hires. 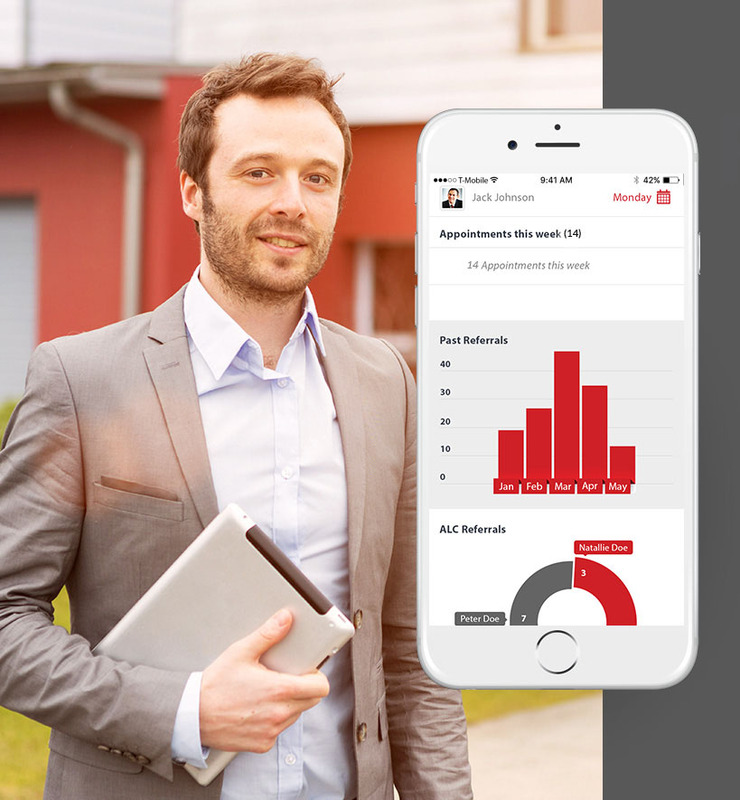 Maximize your time and efficiency by leveraging your employees and ultimately increase warm leads and appointments held. I recruiting over 12 agents this last month strictly from recruiting bridge. As a successful Team Leader for eight years, now Regional Area Director, receiving recruiting leads and lead follow-up to my agents was one of the most challenging aspects of the role. Nevertheless, I did what I could to follow up either with an email, phone call or just running into my agents in the market center. 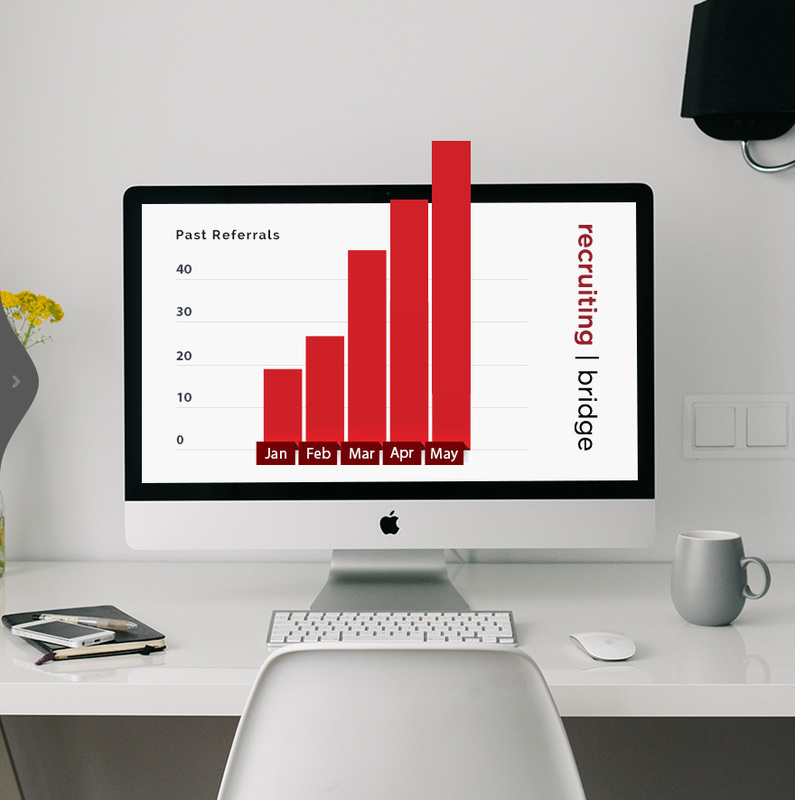 Recruiting | Bridge has taken the guess work out of receiving agent recruiting leads, and systematized the following up process. The system is so simple and automated that I might think about becoming a TL again! This is one of the best innovations I've seen in quite some time.